Our Liverpool sports massages are the ideal solution for elite & amateur athletes and non-athletes alike who are concerned about their muscles. They can be taken if you are concerned about suffering from muscle pain in the future. Our professional therapists will employ a number of techniques to ensure you are fit and healthy for any upcoming event in which you will be using your muscles more than normal. Our massages are also able to ease the pain afflicted by fatigued, overworked or painful muscles and nurse you back to full condition. Muscles that are worked hard will sometimes suffer from adhesion. This is when a part of whole of a muscle becomes chronically contracted due to a lack of proper hydration, excessive use or overexertion, or damage to it through injury. It is often known as a muscle knot because if you run your hands over the area where the muscle fibre has become contracted you will be able to feel something akin to a knot. Our sports massages for Liverpool use a number of methods achieve this after assessing the type of massage necessary for your specific needs. Sometimes, we will use trigger point therapy, a technique most commonly associated with Shiatsu and Acupressure, which involves applying pressure to points of pain in order to release the tension. We will also use toning, stretching and compression as well. Massage therapists will employ a variation of fingertips, hands, elbows, knuckles and elbows on the pressure points during the massage. There is a misconception that the only people who will benefit from this kind of muscle therapy are athletes. While it is true that athletes are the most common types of people who will have one, sports massages have been known to assist a number of people in different types of fields. People who work in manual labour may incur muscle injuries and could benefit from the therapy, for instance. So too could people suffering from postural or emotional stress. When Should I Get Sports Therapy? 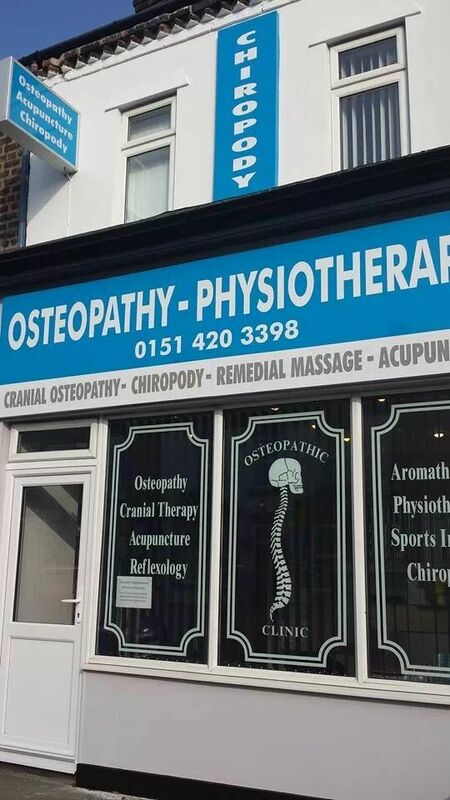 Sports therapy can be broken down into three main types, which will help you decide when the best time to consider a sports massage Liverpool is. They can be taken before an event where you may be required to use your muscles extensively, following an event to help the body’s tissues, or after incurring an injury in order to return your muscles to proper working order. These types of massages are a vital part of a person’s warm-up for an event. If you expect to use your muscles a lot, our professional therapists will be able to help you increase the flow of blood through your muscles. This ensures they are prepared to exert a lot of energy and reduces the likelihood of fatigue. A pre-event massage will also help to increase the flexibility of your muscles and the range of motion they can endure. It involves stretching and toning the muscles. After putting a lot of pressure on your muscles during a heavy exercise they will need to recover. The best way to ensure this is by partaking in a post-event sports massage that will assist in breaking up any knots or adhesions that you could encounter. The chances of spasms or swelling in the days after an event will be greatly reduced by doing so. Sometimes there is simply nothing that will prepare you for an injury that will leave your muscles in pain. If left untreated, even the smallest of sports injuries could later lead to major damage that will set you back for weeks. Physiotherapy can be a crucial part of your restorative treatment in order to remedy the damage. Over a duration of treatments, these rehabilitative massages will help alleviate the pain and make sure your muscles are prepared for future events so that the same wounds will not be repeated. There may be irregular moments of discomfort during the physiotherapy. If you are getting a massage to help nurse a sports injury, the therapist will be putting pressure on the areas where you are experiencing pain. However, you should not experience any excessive hurting. If this is the case, it is very important to talk to your masseuse and inform them of the soreness. A deep tissue massage may result in some tenderness or stiffness for a day or two afterwards. Your massage therapist may suggest applying ice to some of the painful areas if they believe you will experience this kind of discomfort. Contact us for more advice on our elite sports massages.